It can’t be denied that Moroccan architecture as a whole is magnificent and majestic, including historical monuments and traditional homes. And, there is a specific aspect of their architectural design that enhances its beauty: the geometric patterns that are used. These geometric patterns can be found on virtually every surface of a Moroccan Riad. From simple door frame carvings to more complex arabesque designs that cover entire surfaces – you’ll see them quite literally everywhere that you look. If you take a look at the photo that we’ve shown above, you can see the various patterns. 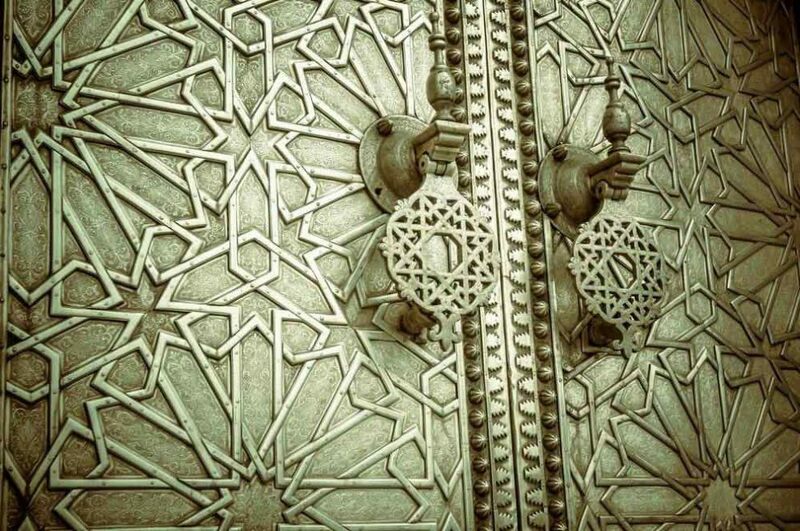 On this metal-plated door, these geometrical patterns come together and are a perfect example of what Moroccan architecture has to offer. Geometric patterning is a large part of Moroccan architecture and ages back centuries. 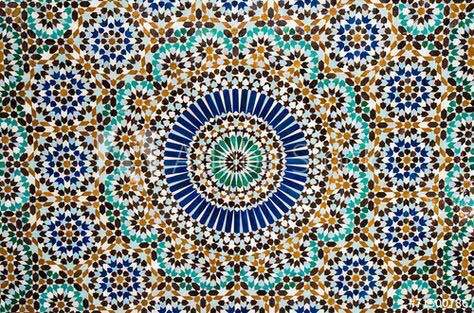 If we trace back the origin of geometric pattern, we can find that it first became popular from Morocco’s Islamic traditions and heritage. As mesmerising as it is, geometric patterning has only gained popularity in Islamic regions. That being said, many people will argue that these core architecture designs originated during what they consider as Morocco’s “golden ages” – the Almohad, Almoravid, and Al-Andalus time periods. 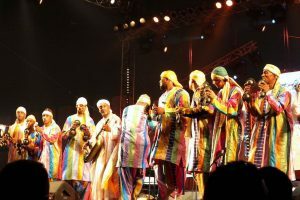 Throughout each of these ages, Morocco was blessed with plenty of landmarks. 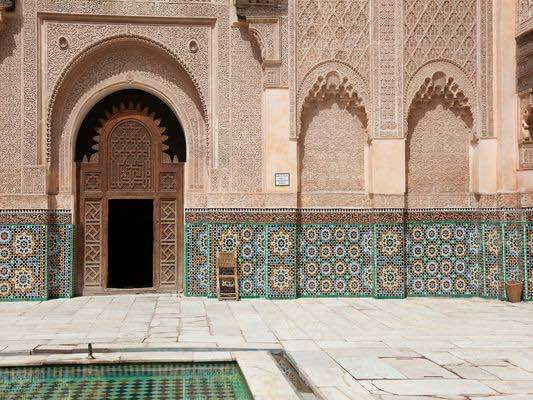 From the Al-Qarawiyyin Mosque, all the way to the Ben Youssef Madrasa that you will find in the city of Marrakesh; the golden ages were without a doubt the architectural primetime of Morocco. When it comes to the Islamic culture, geometric patterns have (and always will) play a big role in architectural designs. Typically, there are three artistic elements that come together to create the desired artwork. Generally speaking, riads are designed around the concept of simplicity. But, as simple as their design is, the geometrical patterns can bring the different elements of the building together and make it look a lot more complicated. A little-known fact is that while geometric patterns are an architectural concept, they are also very symbolic. 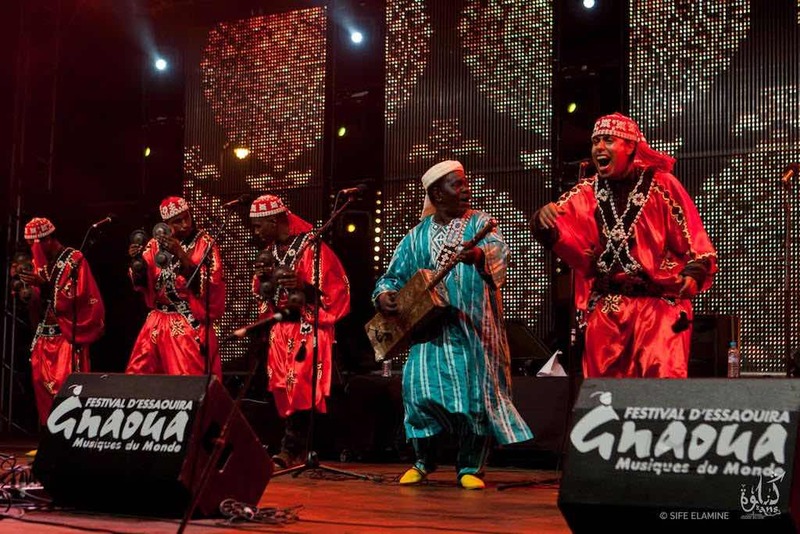 In accordance with Moroccan architecture’s philosophy, everything is related in one way or another. In other words, geometric patterns are what bring the entire building’s architectural design together. Geometrical patterns come in a lot of different forms and it’s incredibly unlikely that you’ll ever find two identical designs. The three core elements of geometric design are repetition, symmetry, and variation. Repetition and symmetry are commonly interconnected in the sense that if there are repeated aspects of a design, it’s likely symmetrical; this isn’t always the case, though. One thing that’s worth noting about symmetry in geometrical patterns is that it isn’t always straightforward symmetry. It could be diagonal, at an obscure angle, or there may even be multiple lines of symmetry. Variation is just as important as those two. Following on from what we said before, most patterns are unique in their own way and this is a result of the approach that artists take. There can be hundreds of tiny details in a single pattern and each of these details will vary. Even though some details are small and don’t look as though they resemble any significance to the overall pattern, they’re usually what brings the art together. 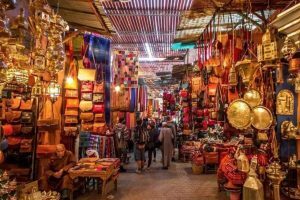 After reading this article and getting an insight into Moroccan architecture, it’s our hope that you’re able to appreciate geometric design even more. If you’re in Morocco, set aside the time to visit a riad and admire the architecture of the building – you won’t regret it!